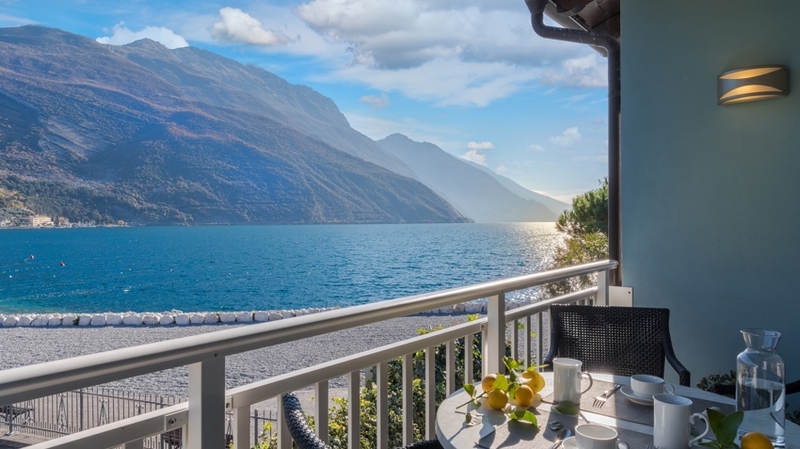 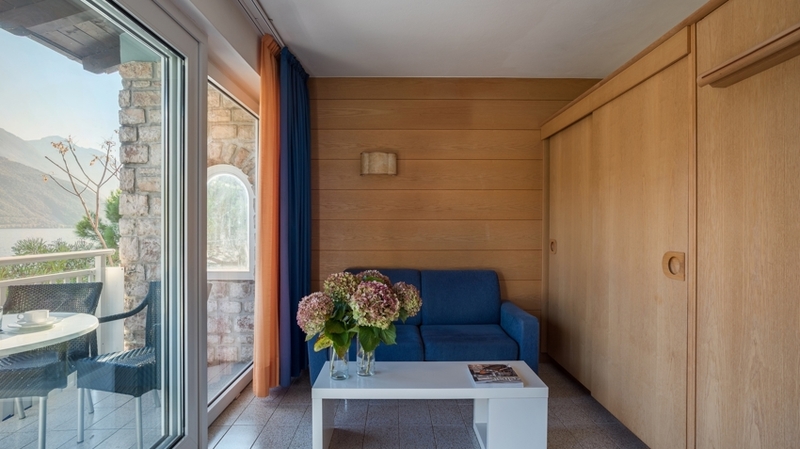 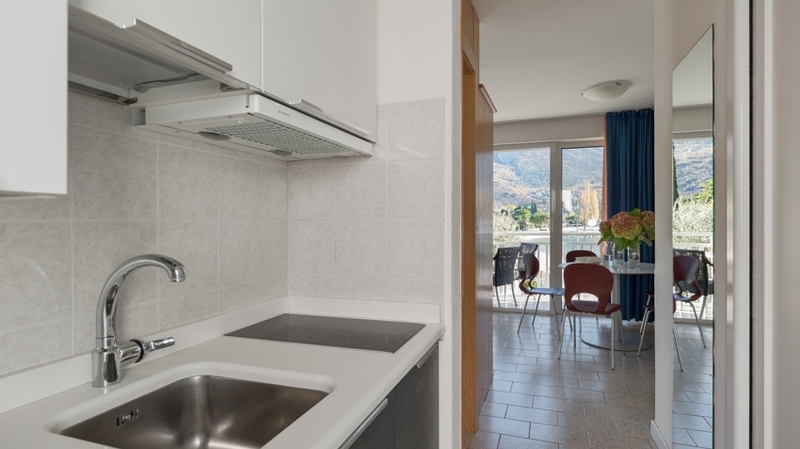 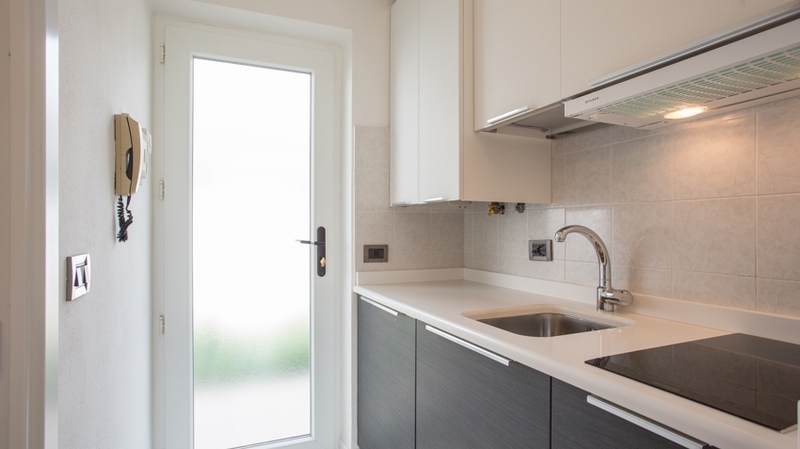 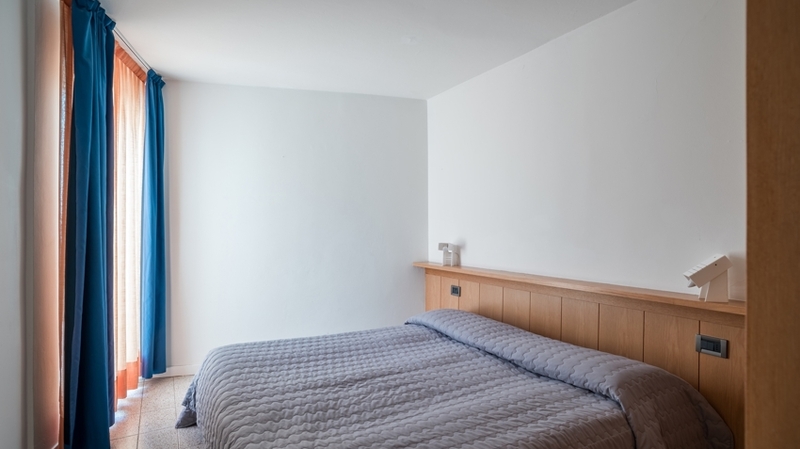 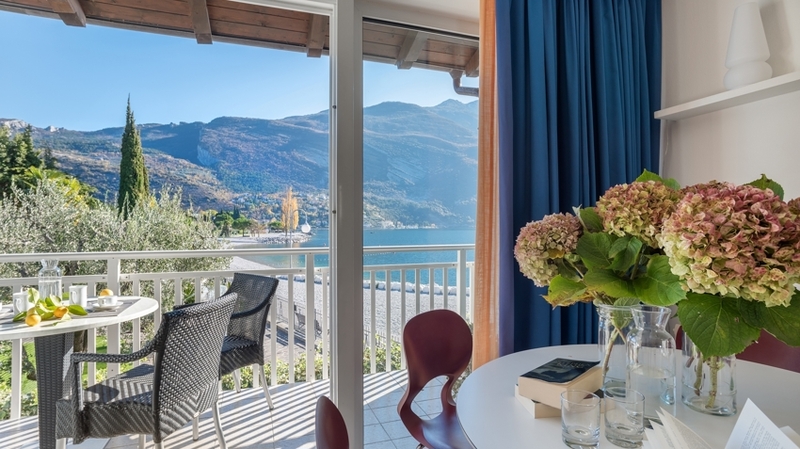 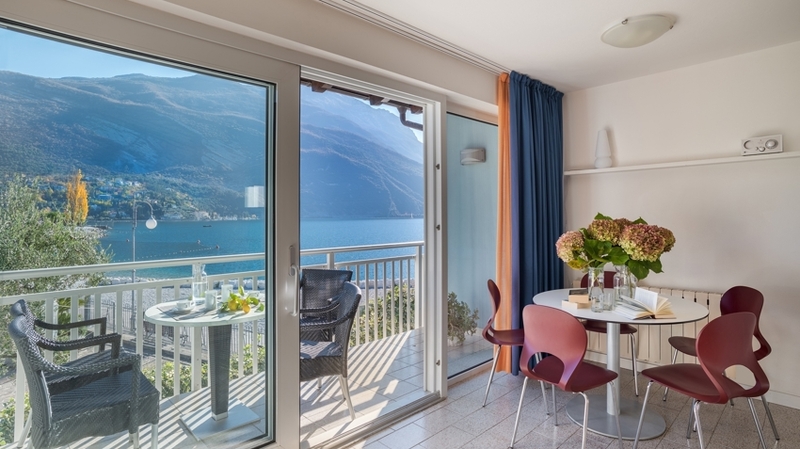 If you give high importance to a unique panorama and direct access to the beach, you should choose an apartment in our Casa Toblini in Torbole. 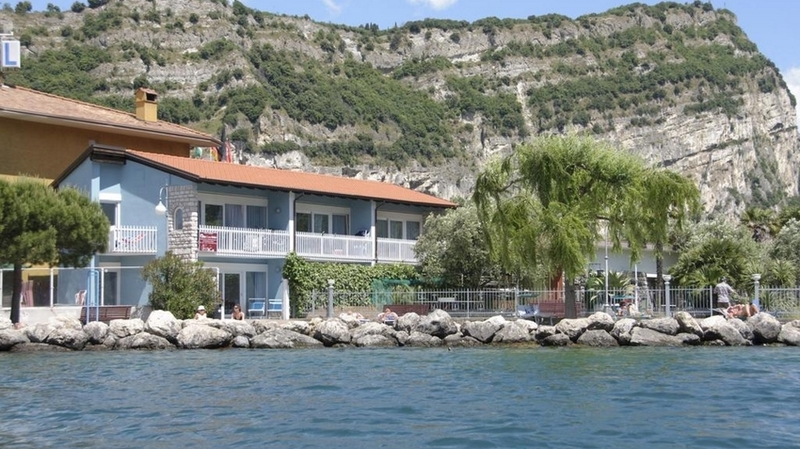 The guesthouse is located directly at the wonderful beach of Torbole and offers a dreamlike view. 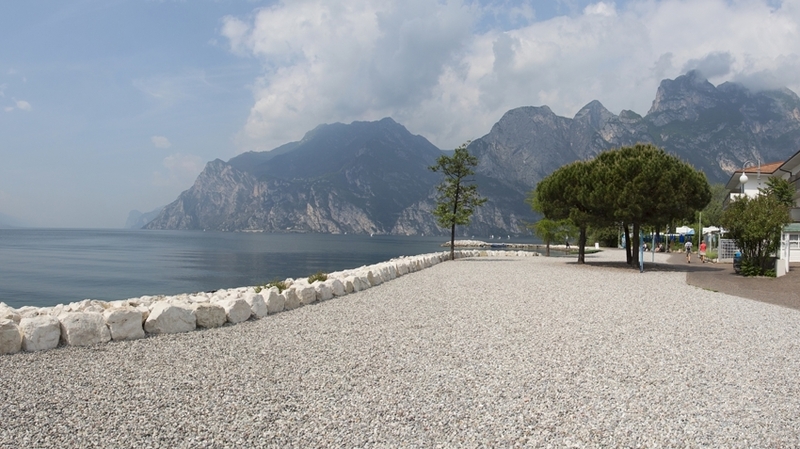 On a walking and cycle path, you can easily and quickly reach the centre of Torbole. 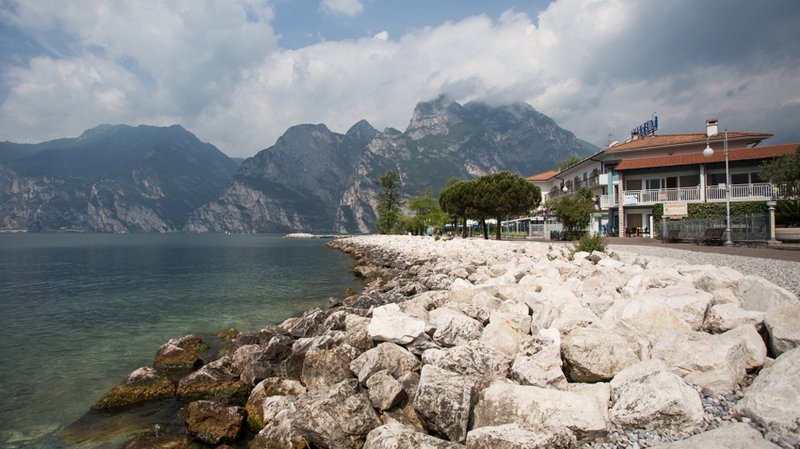 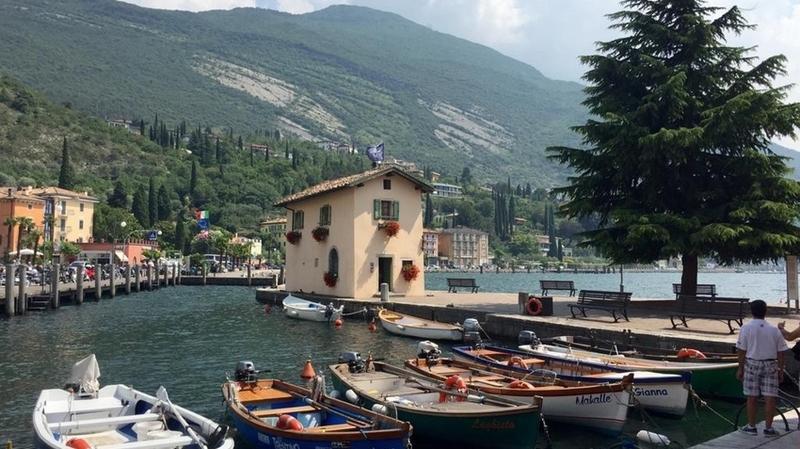 Here, you can also find many bars, restaurants and picturesque squares for unforgettable holiday moments at Lake Garda. 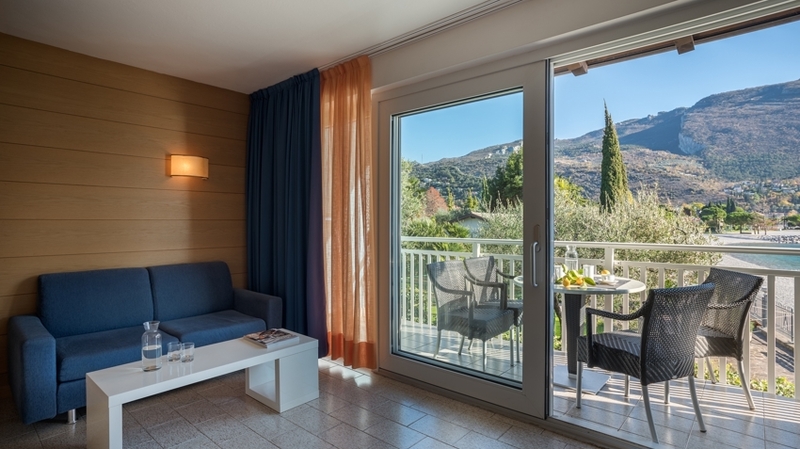 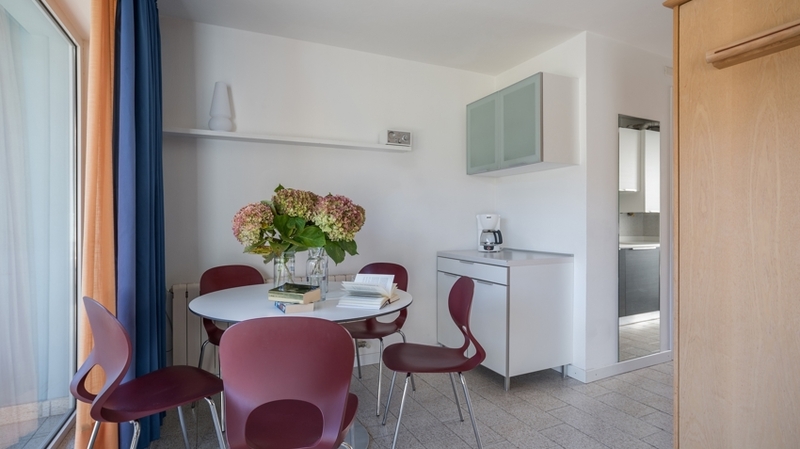 Casa Toblini offers two categories of apartments for up to 4 or up to 5 persons. 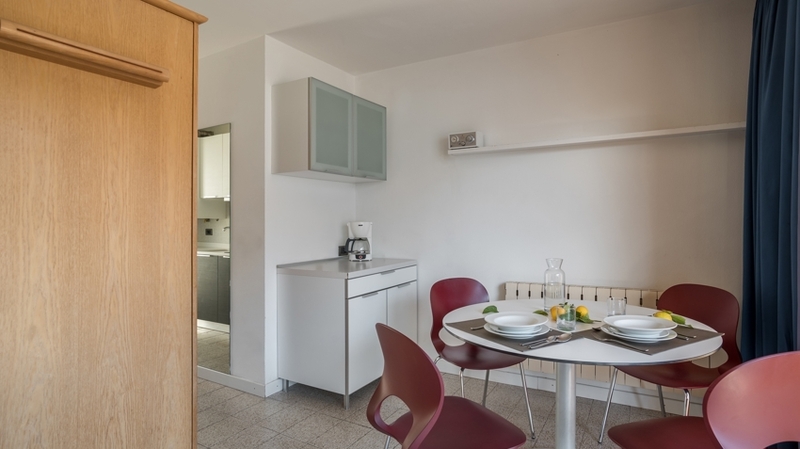 All of them are furnished in a comfortable way and have a living room with double foldaway bed, a bedroom with double bed, a fully equipped kitchen with induction stove, fridge, coffee machine and toaster, a bathroom with shower and hairdryer as well as a balcony or a terrace with direct access to the beach. 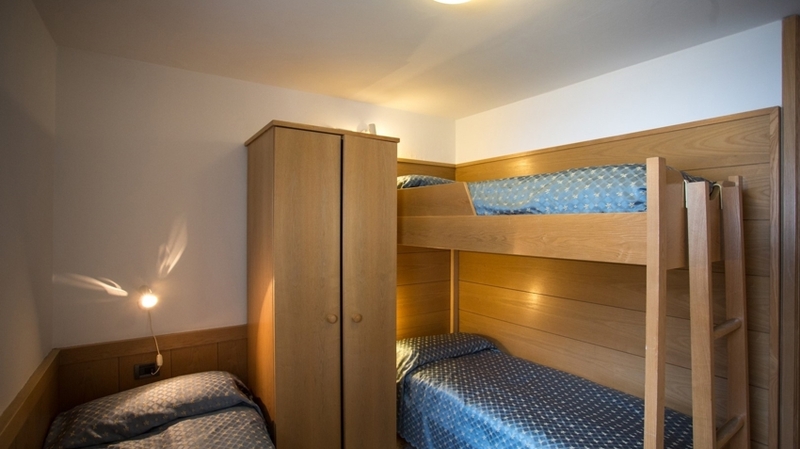 As well, our guests are offered 2 sunbeds per apartments, a parking plot, a table tennis table and a depot for surfboards and sails. 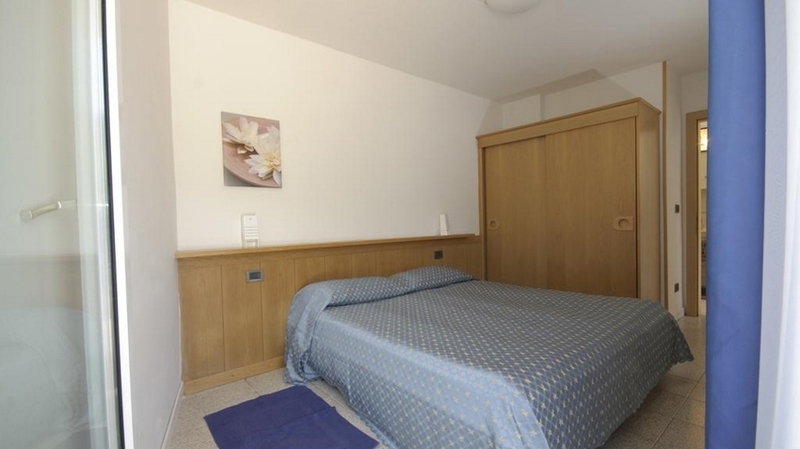 Only 5 minutes from Casa Toblini, there is Residence Toblini. 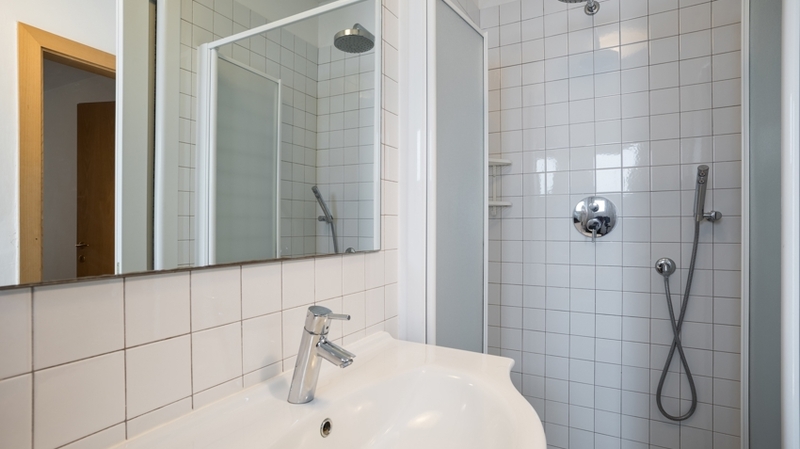 Here, you can use the video-monitored bike depot with tools for reparations and high-pressure cleaner as well as the washing room with coin-operated washing machine and dryer. 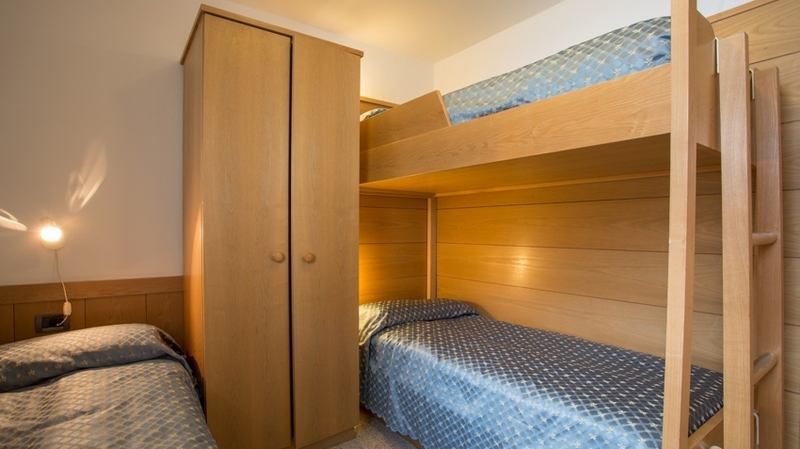 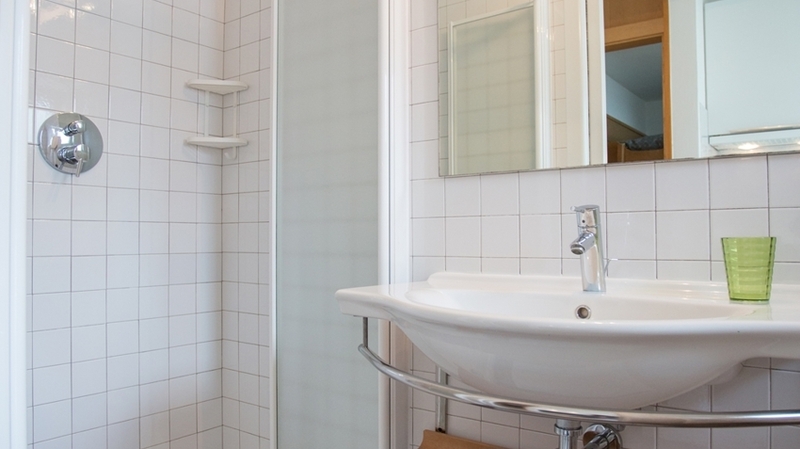 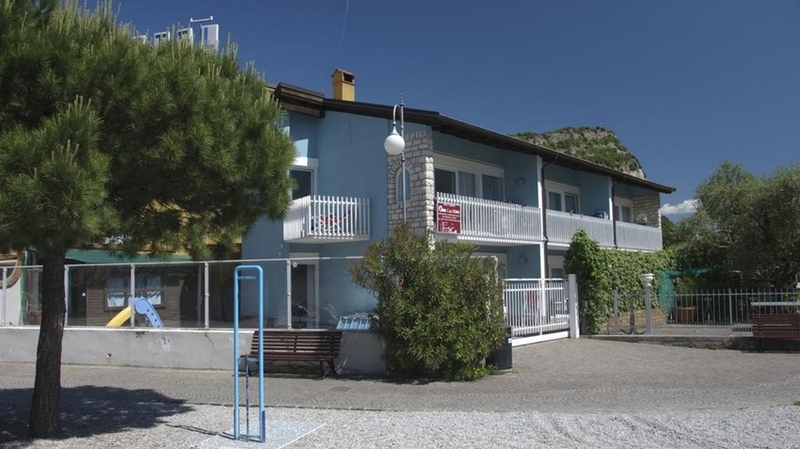 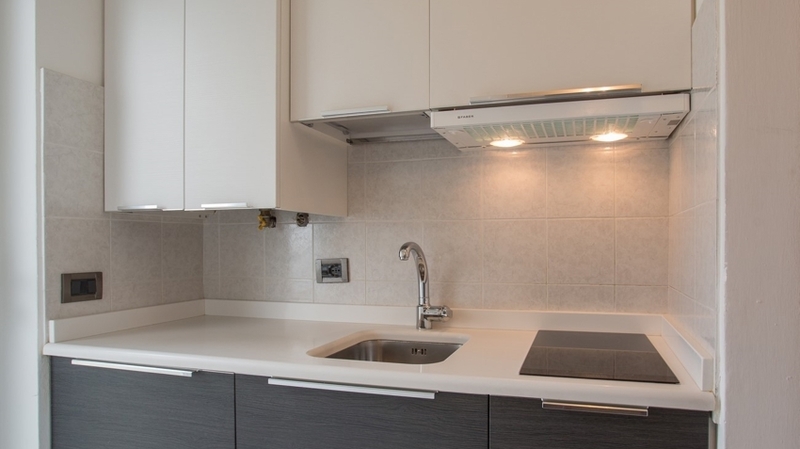 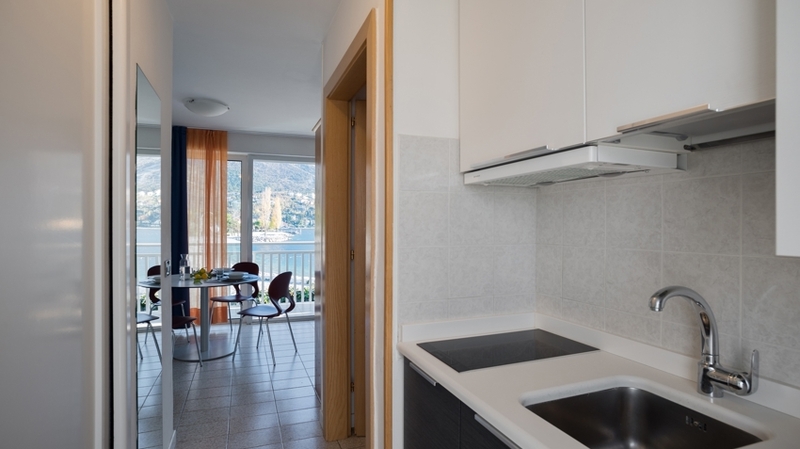 The apartments of Casa Toblini in Torbole are the ideal accommodation for water sports and bathing lovers. 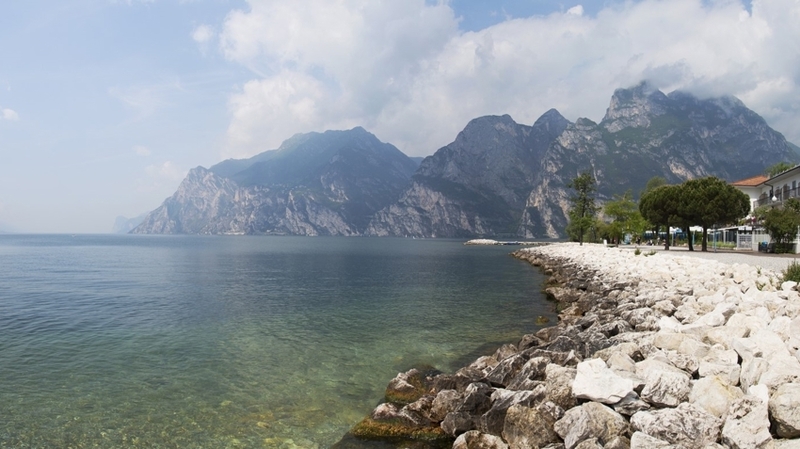 In the surroundings of Torbole, you can also find exciting MTB trails as cycle paths for an excursion with the whole family. 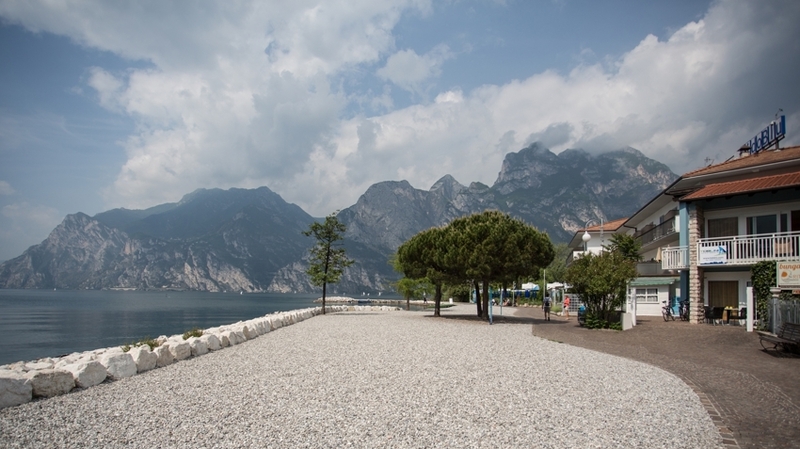 In the impressive mountains near Torbole, hikers and climbers will feel like in paradise. 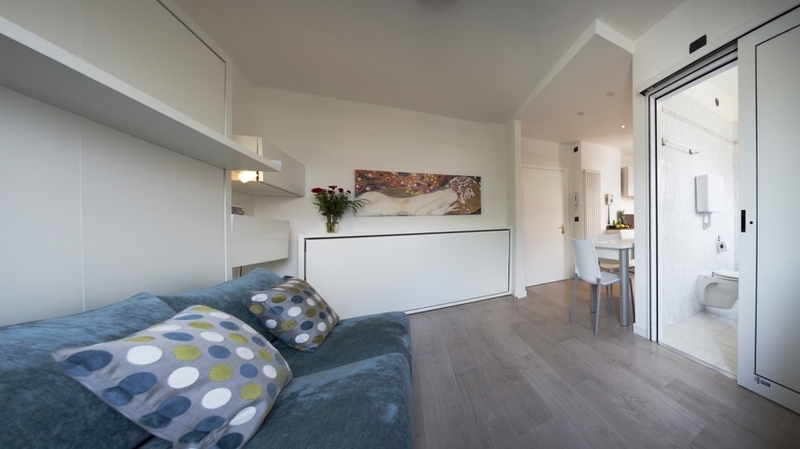 The vivid village centre offers many shops, restaurants and bars – our guests are offered price discounts in some of them. 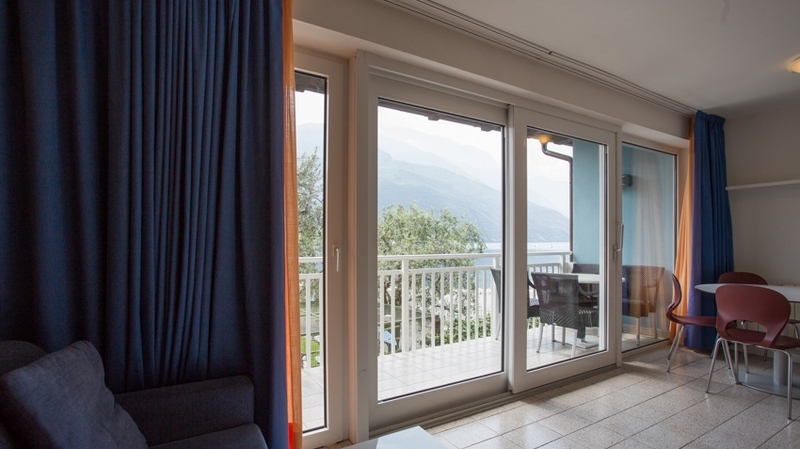 + Die Lage des Hauses ist optimal, direkt am See gelegen. 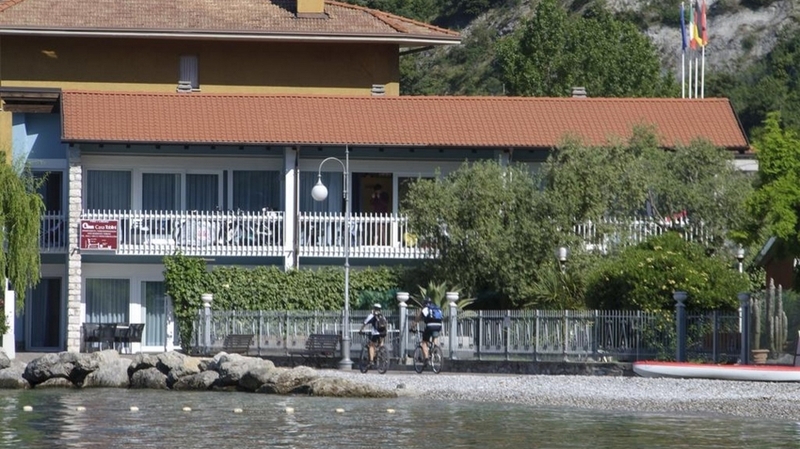 Sobald der übliche Trubel auf der Promenade nachlässt, ist es wunderbar ruhig! 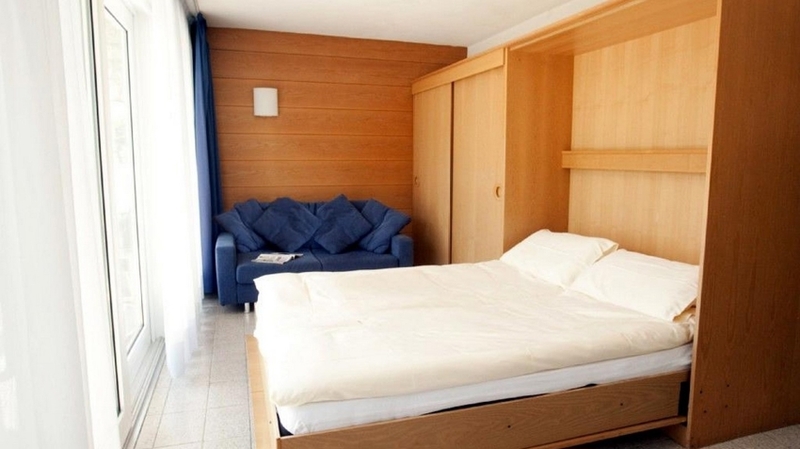 Wir hatten das Superior-Appartement im 1. 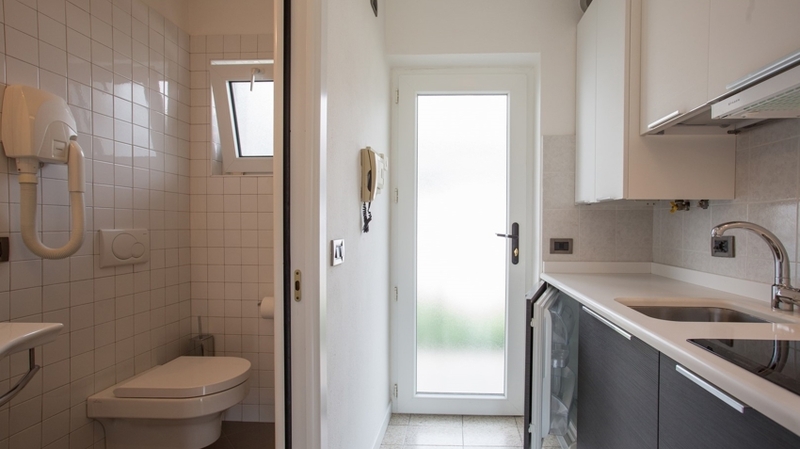 OG bewohnt. 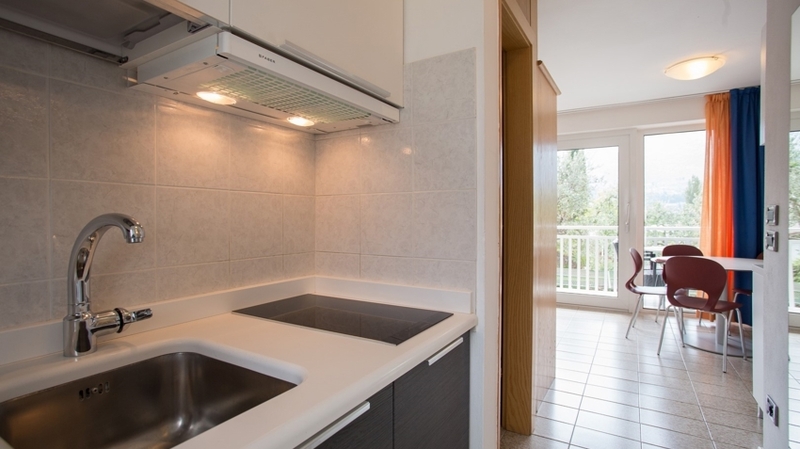 Aufgrund der zwei Balkone konnte nachts zwar gut gelüftet werden; bei den relativ hohen Sommertemperaturen wäre jedoch eine Klimaanlage hin und wieder angenehm gewesen. 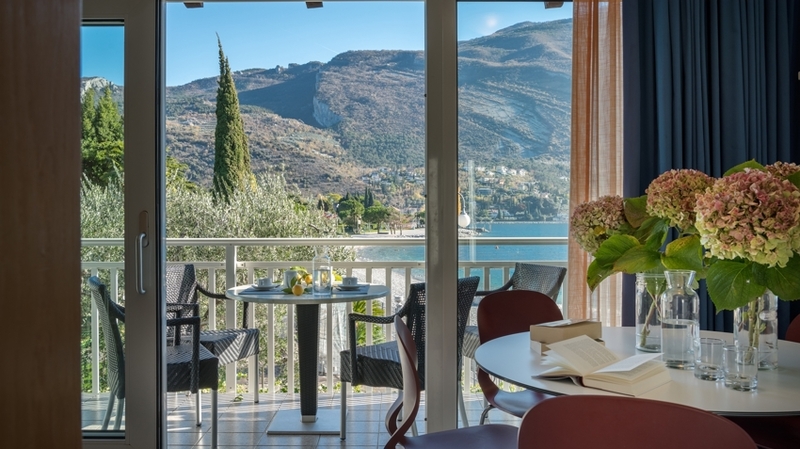 Im Hotelrestaurant genau nebenan wurde ein sehr gutes Frühstück vom Buffet angeboten, für Bewohner der Casa Toblini zu einem Sonderpreis. 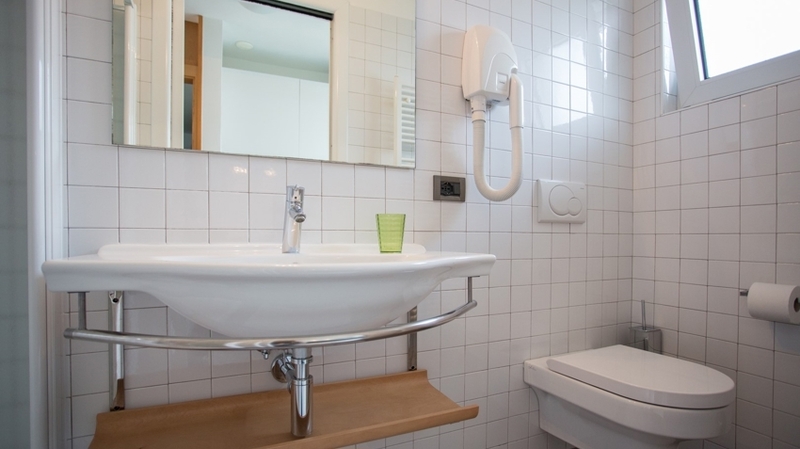 Die Besitzer der Anlage sind sehr freundlich und hilfsbereit.